Evakool was first established in Caloundra Queensland, 1994. 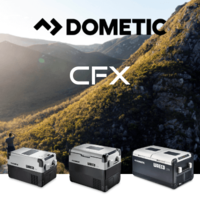 They were founded to deliver impeccable efficiency and pricing for the Australian leisure industry. Since the beginning, Evakool has been synonymous with excellence, superiority and reliability. 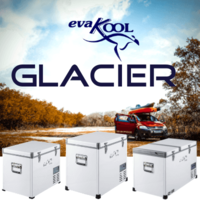 Delivering over 20 year's experience, Evakools range of 12-volt portable fridges as well as polyethylene portable fridges and fibreglass ice boxes. 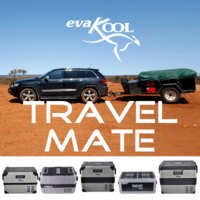 From the family picnic, a fishing trip to the grey no mad touring full time evakool is sure to have the right appliance to suit your application and camping needs. 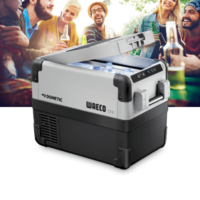 So, we've all been in the position where you try and pack all your delicately made sandwiches and other food goods in a box full to the brim of ice plus some beers and assortments of your choice. Upon arrival, you dig to the bottom of your ice box only to discover your sandwiches and other valuables are floating around in a pool of ice. It's the most disappointing thing knowing your time, money and effort have gone to waste because you don't have the proper equipment for your travels. This is where evakool can be your best friend and come into play. 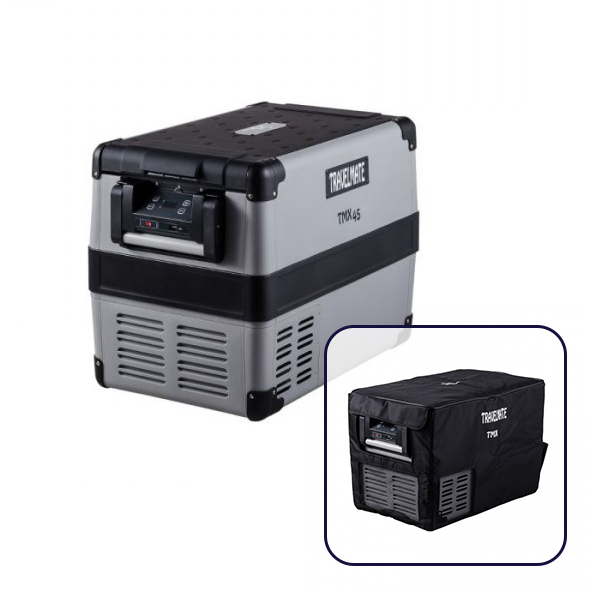 Using a portable camping fridge can enable you to eliminate any problem you may incur without having the right equipment. 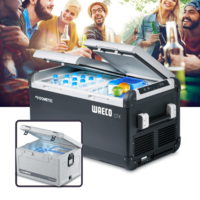 For instance, being able to store leftovers for days on end, keep your food and beverages cool at all times allowing you to feel like you have a permanent mobile kiosk on your travels. 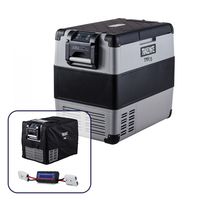 Evakools compressor models enable you to operate your fridge of your cars battery system or 240- volt power so your condiments are ready to consume at any given time. 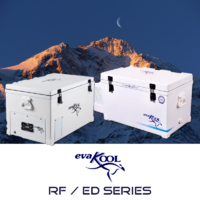 Evakool produce second to none, state of the art portable camping fridges that run efficiently and quietly in the rear of your car. 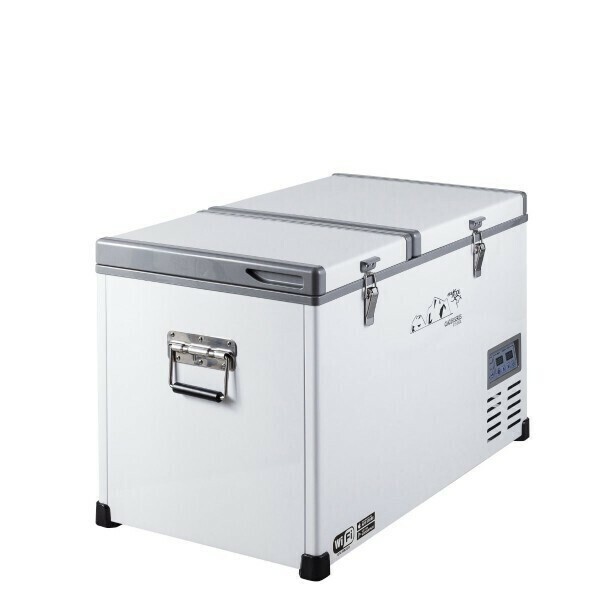 There is an extensive list of evakool fridges to pick from depending on your application and needs will determine which fridge suits the best. 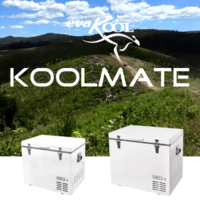 There are a few things to consider before purchasing your new evakool fridge. 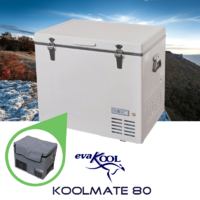 Ventilation: Be sure there is adequate room around your evakool fridge for ventilation, e.g. nothing covering vents or suffocating outlets of the fridge/freezer. 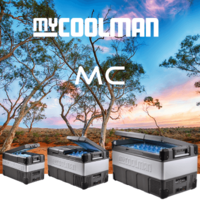 Power usage: Operating your new evakool fridge whilst not driving and charging your battery be mindful of the amp draw which is usually around 1 amp and is typically considered low. 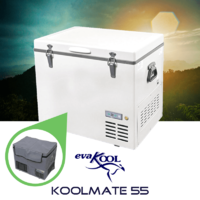 Warranty: All make and models of evakool camping fridges come with a 5-year warranty and nationwide support. 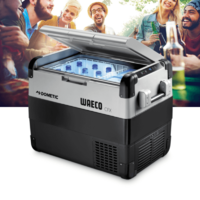 Compartments: Deciphering different compartments and storage is always a hot topic around the camp fire, do u need a freezer? do you need separate storage for dairy? Evakool has an assortment to cover all variances and requirements. 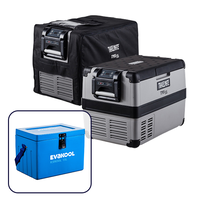 Baskets: A lot of the portable Evakool fridge/freezer range are fitted with removable baskets. 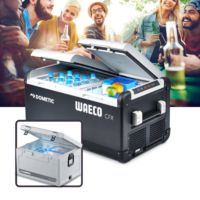 They deliver an ease of access saving your lower back when trying to reach deep into the compartments to find your food, beverages and condiments.